After successive test series defeat abroad this year, Team India is set to return to its home turf for the series against the West Indies team in October. India is currently in the tail end of their two month long unfruitful English tour with one more test match left to be played from September 7 to 11. Right after one week(from 18 September) of culmination of this series they are going to participate in Asia cup(a six team tournament) along with their arch rivals Pakistan, Island Nation Sri Lanka, Bangladesh, Afghanistan and Qualifying Associate teams. Asia cup will end on September 28, if India manages to reach the finals of the tournament. Following the Asia cup Men in Blue will take on the West Indies Cricket team in a multi format bilateral series before resuming their next overseas assignment Down Under. The West Indies team is going to play two test matches, five One day matches and Three T20 matches against India during their seven week tour of India. The West Indies tour of India commences with the Test series, first of which will be played at the Saurashtra cricket stadium, Rajkot from 4 October to 8 October. The Second Test match will be played at Rajiv Gandhi International Cricket Stadium in Hyderabad from October 12 to October 16, the second test starts just three days after the culmination of the first test. The test series will be followed by a five match ODI series four days after the end of the second test. The ODI series is set to begin On October 21 at Barsapara Stadium in Guwahati, the second ODI on October 24 will be played at Holkar stadium in Indore, third ODI will be held on October 27 at an MCA stadium in Pune, Fourth ODI will be played on October 29 at the prestigious Wankhede Stadium in financial capital of India, Mumbai, Fifth and the final ODI will be played at Green field Stadium in Thiruvananthapuram. Green field Stadium became India’s 50th International venue last year when it hosted a T20 with Black caps. The teams will then move onto Iconic Eden Garden’s in Kolkata, the same venue where the West Indies team won 2016 T20 World cup to play the first of the three match series on November 4. The second match will be held on November 6 at either Kanpur or Lucknow (Venue not finalised yet). The tour will come to an end with a third T20 International match in MA Chidambaram Stadium, Chennai on November 11. The Last Time West Indies team toured India for a test series was in 2013, the last series, Sachin Tendulkar played before retiring from International cricket. It was a two match series Which India won Quite Convincingly as the score line was (2-0). Then West Indies Hosted India for a four match test series in 2016 which India won 2-0 again. 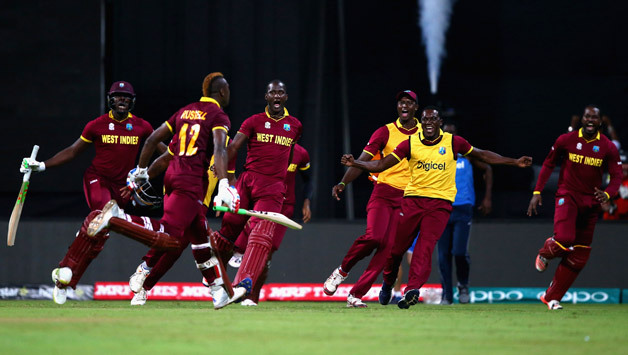 Most recent Limited overs Series between the sides was held in 2017 consisting of five ODI’s and lone T20 international which were played in West Indies. 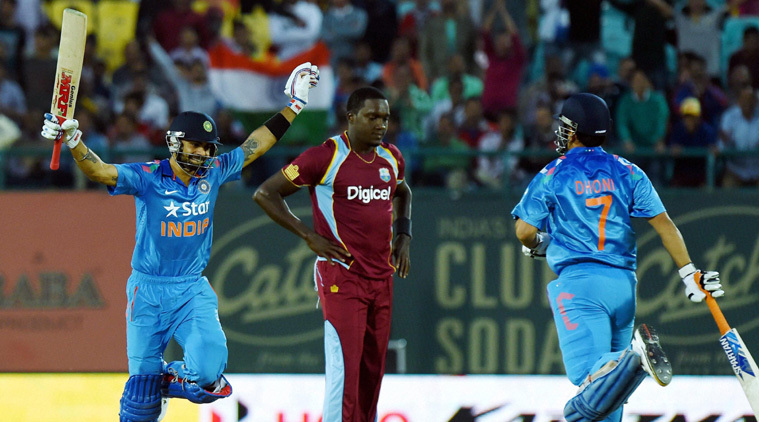 India won the ODI series 3-1 (as the first game was suspended due to rain), While the World Champions West Indies won the One off T20international. Overall India and West Indies have met each other in 94 tests since 1948 in which India has won 18 matches, Lost 30 matches and drawn 46 matches. In ODI’s they fare a bit better as they won 56, lost 61, tied 1 and 2 games washed out in 121 One day Internationals. Coming to shortest version of the game they played 8 games till date of which India won 2 and lost 5 with one game washed out due to rain. 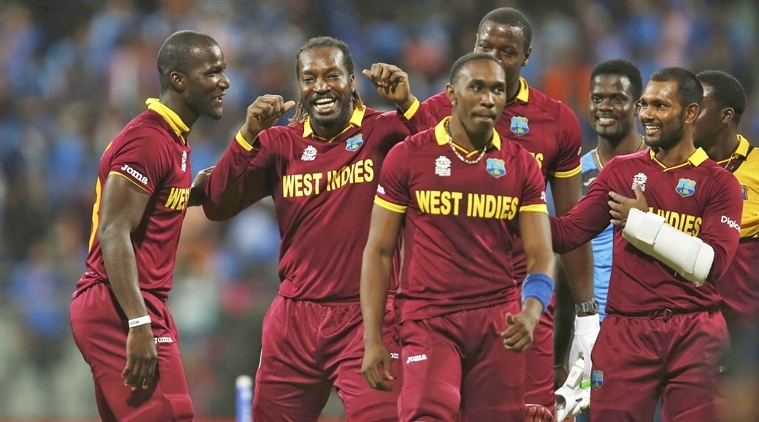 The West Indies Cricket board has already announced a 15 man squad for the test series. Jason Holder continues as the skipper. Miguel Cummins and Devon Smith are the two players to miss out from the test squad that played Bangladesh in July 2018. 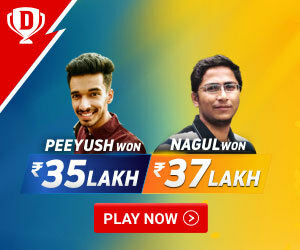 Sunil Ambris and Jomel Warrican replace them. Right handed opening batsmen Sunil Ambris is making a comeback to the national side after having a Horrendous debut against Kiwis last year when he was out Hit-wicket for a golden duck in the first innings and fell again cheaply in a similar manner in the second innings. He is being given another chance to prove his mettle as the other openers have failed to perform in recent matches. Keeping in mind about the sub-continent playing conditions they decided to rope in Left arm orthodox Spinner Warrican in place of Seamer Miguel Cummins. India Squad : India is yet to announce the squad as they still have to play in Asia cup before this series. Owing to packed Overseas challenging schedule of the team this year (tours of South Africa, England, Australia), there are concerns over the workload of crucial players who play all the formats. Team India’s performance has been dented in recent times due to mismanagement of workloads of crucial players. Virat Kohli had recurring back issues during the England test series (between second and third test) because he was continously playing in all formats of cricket throughout the summer including IPL 11. Jasprit Bumrah had to miss the T20 and ODI series in England due to fitness issues, as his presence would have overturned fortune of the visiting team. Another key player Bhuvaneshwar Kumar a lethal swing bowler who is tailor made for the Swinging conditions in England, who previously had a fifer at Iconic Lords and was man of the series for India in the previous tour, had to sit out of the whole series due to fitness concerns which has had drastic effects on a team’s chances of winning the series. So With All important Australia tour ahead of the West Indies series the selectors might be tempted to rest a few key players to give them a much needed break away from cricket and rejuvenate. Also West Indies team is not expected to pose any serious threat to India in their own backyard so the selectors may rest regulars and give a chance to Indian domestic cricket heavy weights like Mayank Agarwal, Shreyas Iyer, Siraj, Rishabh Pant, Krunal pandya, Prithvi Shaw who have been racking up consistent performances in Ranji trophy and the IPL. Mayank Agarwal in particular has been the most consistent among all as he is leading run scorer in First class cricket for few years and truly deserves to play for India. This will also help India test their bench strength and identify able ready-made replacements for regular players as the 2019 World cup is just 9 months away. Is Ravi Shastri Comparison Between 1983 World Cup & Historic Australia Series Win Justified? Will 2019 IPL affect team India’s Performance in World Cup?